Flashier page coming soon... in the mean time imagine some really nice artwork of stabiliser wraps! Here is one example of a short wrap made for a customer, including camo and a dragon design. 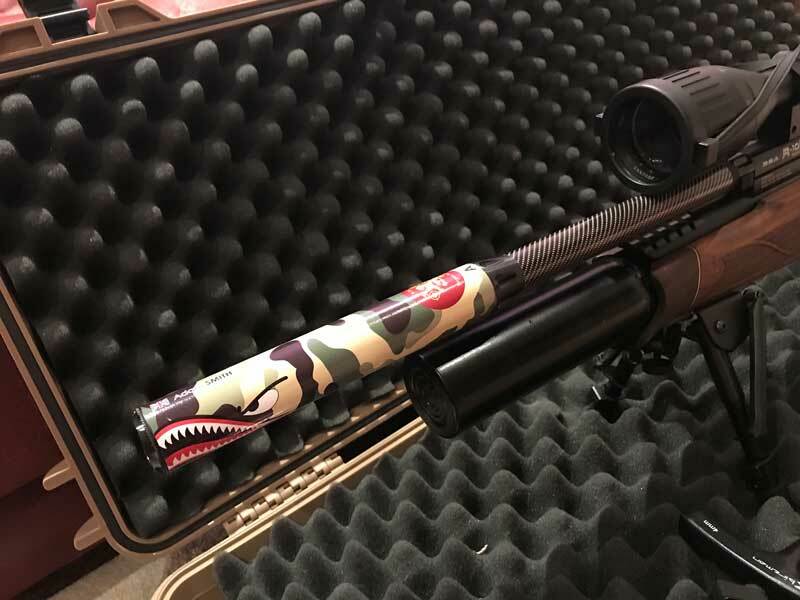 "If its round - it can be wrapped" As an example, here's an air rifle silencer we recently did below. Please get in touch with us if you'd like some stabiliser wraps produced and we can discuss the designs and possibilities with you, email us at "info@arrowsocks.co.uk"